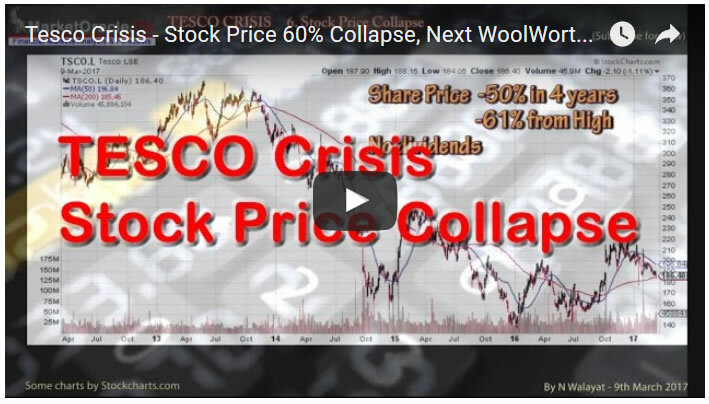 Tesco Collapses Into a Sink Hole, Stock Price Down 10% in 3 Trading Days! 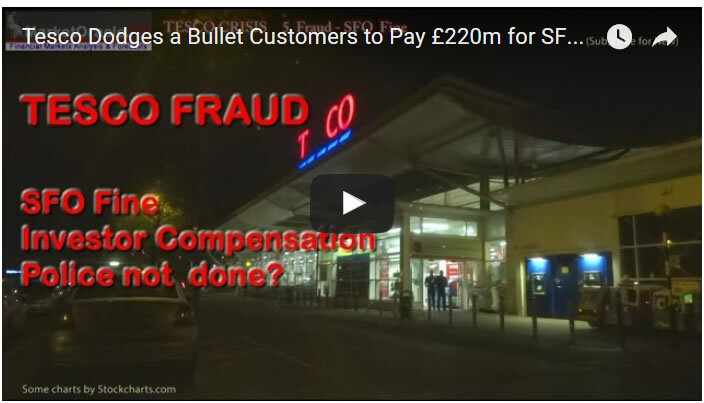 Whist the mainstream media focuses on some of Tesco's latest result numbers, mostly painting a bright picture of Britain's supermarket giant recovering, with sales up for the first time in 7 years and with the SFO false accounting scandal behind it. However, that's not what Tesco stock price is saying, which is now down 10% in just the past 3 trading days following the release of Tesco's so called 'good' results. Clearly the market does not trust Tesco's results. So what is it that the market is seeing that mainstream media is so blindly missing? Perhaps it could be Tesco's £17.5 billion debt black hole which is set against a stock market valuation of just £14.6 billion. From what I can see the only way Tesco is managing to improve its balance sheet is by SHRINKING in SIZE, cutting stores and staff. 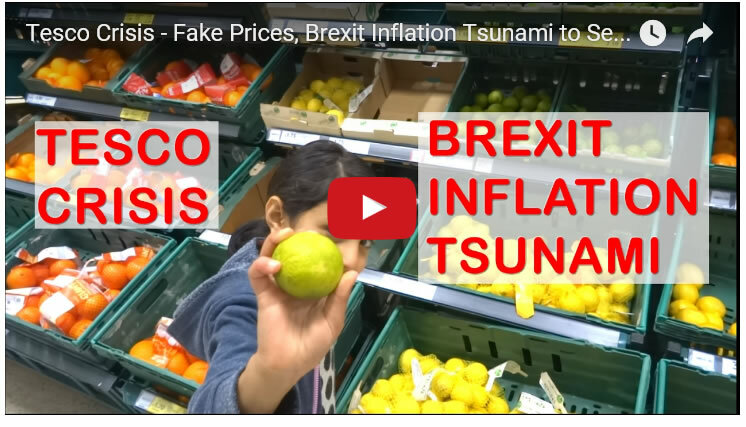 I will cover Tesco's 'REAL' financial position in a forthcoming video analysis so ensure you are subscribed to our youtube channel for that. 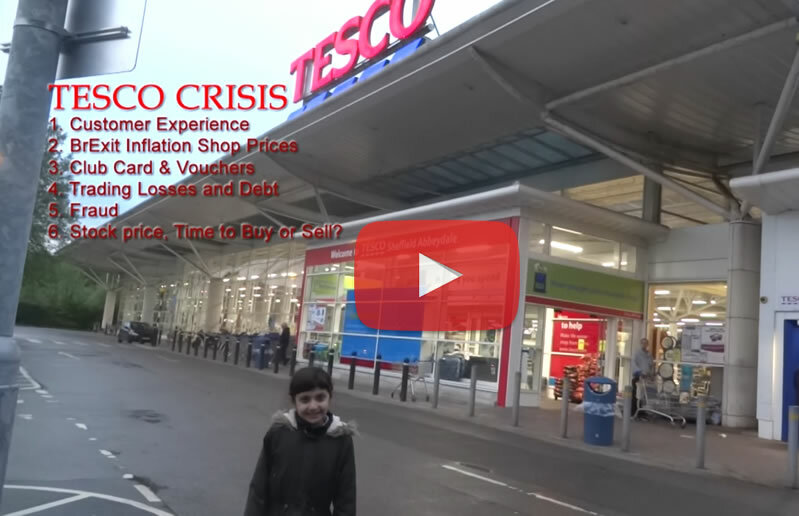 In the meantime see the following 4 videos already published in the 'Tesco Crisis' series as the stock price continues to gravitate towards ZERO!